4/20/19: After 25 years of service, STREET REACH IS CLOSED indefinitely at this time. The community doesn't want the hungry or homeless in their neighborhoods receiving a hot meal one day a week. Grant Street Reach (“Street Reach”), has been serving the Denver community for over 25 years. Operating primarily as a Soup Kitchen, Street Reach provides over 800 hot meals every Monday to its clients. 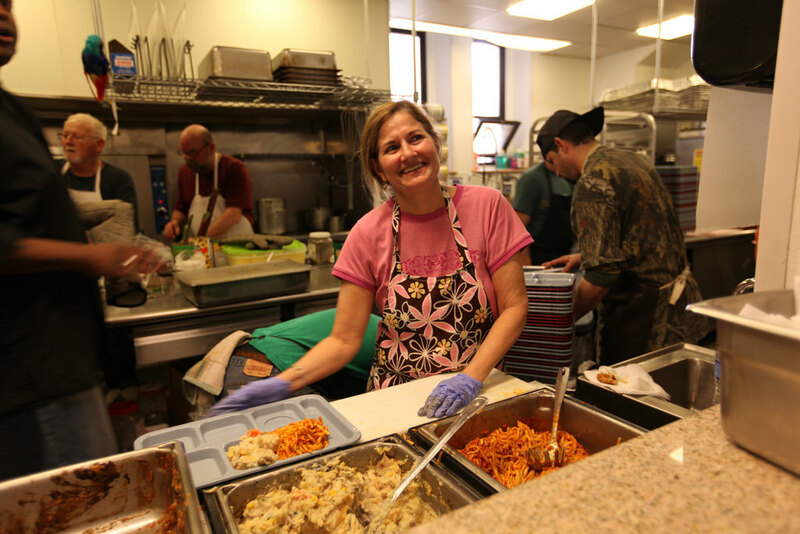 In 2015 alone, Street Reach served approximately 50,000 meals to its patrons. Aside from food service, Street Reach provides food (canned goods, fresh vegetables, and fruit), clothing, blankets, toiletries, diapers, and baby formula to its clients. To feed and care for the less fortunate regardless of circumstances, with dignity and without judgement. We are a 100% Volunteer-Run Organization. We need your help.